When students know their vocabulary words, they are better equipped to understand the concepts and events to which those words refer. Vocabulary comprehension helps 2nd graders relate words to a particular context, allowing them to grasp the broader lesson at hand. If students don’t understand the words used in a lesson, they are not likely to understand the lesson as a whole. That is why vocabulary comprehension is often the difference between pass and fail on a test. An even greater benefit from knowing their vocabulary is that students’ interest in learning is increased simply because they understand more of what they are taught and therefore enjoy learning more. Building vocabulary skills through interactive games and fun learning activities keeps students engaged. VocabularySpellingCity’s social studies learning activities help your second graders by teaching the proper spelling of words as well as their correct definitions and usage. Social studies vocabulary games are fun to play, and other tools like the printable second grade social studies worksheets, and other second grade spelling word lists, help your students practice this vocabulary even when offline. 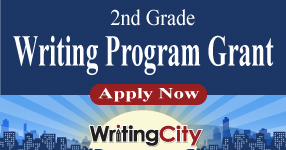 VocabularySpellingCity works in partnership with parents and teachers to make learning 2nd grade social studies words fun as well as educational. The following games are recommended for 2nd Grade Social Studies Vocabulary Lists. Play Word Study with a 2nd grade social studies list. Play Sentence Writing Practice with a 2nd grade social studies list. Play Sentence Unscramble with a 2nd grade social studies list.